Parent summits or back-to-school nights These are opportunities to orient parents to school policies and connect them to helpful resources. Think of ways to provide incentives for parents who are trying to improve their children’s attendance. If you have data for your school or community, share the information with parents. Or simply share what we know about the importance of good attendance. Student assemblies Use an assembly at the start of September to introduce the topic. Also use this opportunity to explain to students why attending school is so important. If possible, have some students speak about why going to school keeps them on track for graduation and helps them prepare for college and career. One- on-one parent-teachers conferences This is an ideal time to talk to parents about the importance of attendance. 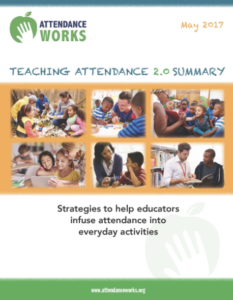 Teachers can acknowledge parents whose children attend regularly or express concern and come up with a plan to improve attendance for chronically absent students. 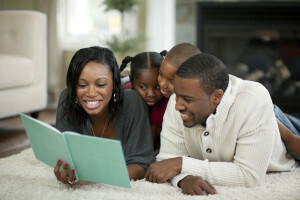 It is an ideal time to make sure parents are aware of programs in place, or school activities that promote attendance. These tips can also work for home visits or phone calls home. Publicly proclaim the importance of attendance and the establishment of September as Attendance Awareness Month. Mayors and other elected leaders, school boards and superintendents can signal the importance of school attendance by declaring that September is Attendance Awareness Month. Reach out to state legislators and education leaders. National and local organizations can also use the proclamations and disseminate them through their networks. Attendance Exhibits. Promote good attendance in a display in the lobby of city hall, the school district’s central office, the main library or other public spaces. Retail shops and restaurants can put posters in their windows or on bulletin boards. If there is a student poster contest, decorate public spaces with the posters. Our Attendance Awareness Month Badge can be used in e-mail signatures and on websites.